Of course it’s upsetting when a customer slams you via tweet, status message, blog comment or humorous video. But it’s not like social media created negativity, it just puts a magnifying glass to it. Do you know why you don’t get angry when customers call customer service and say all kinds of crazy, depressing stuff about your brand? Because you’re not on the other end of the phone. If you listened in, you’d be just as angry about that as you are about negative tweets. The public and immediate nature of getting slammed via social is what stings. But, one of greatest benefits of social media is that it puts the shortcomings of your operations department in marketing’s lap, and vice-versa. Ultimately, this will make for stronger companies. But meanwhile, you need to recognize that the ire you direct at the customer that DARED to slam you in a blog comment is wholly misplaced. The customers that take you to task in social media aren’t the ones you need to worry about. It’s the customers that don’t care enough to even complain – or have forgotten you entirely – that are truly dangerous to your corporate well-being. In Arizona (where I live for a few more days), there are a lot of pick-up trucks. 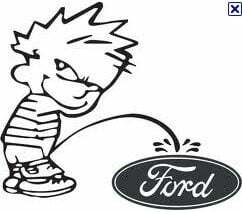 Almost invariably, the Chevy trucks have the sticker on the back featuring Calvin peeing on the Ford logo. And the Ford trucks have the pee on Chevy sticker. Sure, if you’re Scott Monty of Ford Motor Co. and you’re vacationing in Arizona (as he does), and you see a bunch of pee on Ford stickers, that’s unfortunate. But at least those customers care enough about the category and brands within it to state their preference. Have you ever seen a “Pee on Pontiac” sticker? Your problem isn’t social media negativity. 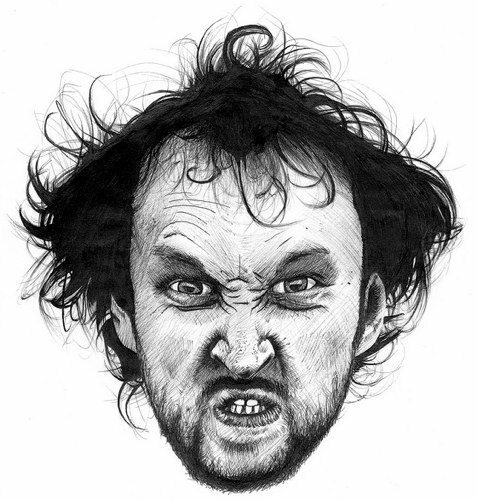 Your problem is the silent blahs – the legions of customers that don’t really care one way or the other. A negative comment at least gives you the opportunity to find it, learn from it, and perhaps even turn disappointment into approval with fancy customer service dance moves. The silent blahs creep up on you from out of nowhere, like Lyme Disease or the effects of a third margarita. So stop wasting your energy getting all wound up about 140-character complaints, and direct some of your best thinking to how you can get the people who think you’re as interesting as rice cakes to care about your brand one way or the other.